Oʻahu and Maui - This Earth Day, April 22, 2015, the Hawaiian Islands Land Trust (“HILT”) is pleased to announce that it has recently signed a Conservation Collaboration Agreement with Brigham Young University Hawaiʻi International Cultural Studies Department’s Cultural Anthropology Program on Oʻahu and another such Agreement with the Kihei Charter School’s High School on Maui. The parties to these Conservation Collaboration Agreements recognize that the State of Hawaiʻi’s natural environment is greatly threatened by development and other pressures, that young people have a major stake in what our future environment will be like, and that together the parties can better protect Hawaiʻi while furthering their respective land conservation and education missions. “We applaud these schools for their leadership, generosity and understanding that the conservation tools used by the Hawaiian Islands Land Trust, such as the perpetual Conservation Easement, can help ensure that Hawaiʻi’s environment will be protected for the lasting benefit of their students for generations to come,” said Ted Clement, HILT’s Executive Director. HILT signed its first Conservation Collaboration Agreement with the Kihei Charter School’s Middle School in April 2014. The Conservation Collaboration Agreements recently signed each have three main components. HILT staff will provide educational presentations regarding land conservation to the students. HILT and the two schools will also collaborate on cleanups of HILT’s Maunawila Heiau Preserve on Oʻahu and HILT’s Waiheʻe Coastal Dunes & Wetlands Refuge on Maui. Finally, the students will work towards raising the necessary funds so that the students can become members of HILT, and get directly involved with the philanthropy necessary to support HILT’s land conservation work, through HILT’s Young Friends Membership Program. In an effort to expedite its time-sensitive land conservation work, HILT is reaching out to young people to join the cause, through its new Young Friends Membership Program, as young people have a major stake in the future of our environment. The new membership program offers an affordable annual membership level, the Waiheʻe Level, for young people 21 years or younger at $15 as opposed to the standard starting $25 Maunawila Level annual membership. Young Friends Members receive all of the same benefits as Maunawila Level members, which include HILT’s educational newsletter Umeke Kāʻeo, a member window cling, HILT’s e-news, and invitations to special events and other activities such as HILT’s free Talk Story on the Land environmental education series and community picnic. Kihei Charter School is an innovative public charter school serving students in grades K-12. The school is a STEM (Science, Technology, Engineering, and Math) school, which also focuses on 21st century skills and project-based learning. As students matriculate through high school, they are facilitated towards unique learning opportunities beyond the four walls of the school that include college courses through the Running Start Program, internships, and independent projects. Under the umbrella of International Cultural Studies (ICS) Department, BYU Hawai‘i’s Cultural Anthropology Program provides students with a range of knowledge concerning cultural studies. Students start with the basics focusing on contemporary applications of cultural anthropology and then proceed to encounter topics ranging from Pacific Societies to Oceanic Prehistory to Current issues in Anthropology. While gaining this knowledge, students also obtain a thorough review of social and cultural theories that have informed anthropological inquiry. 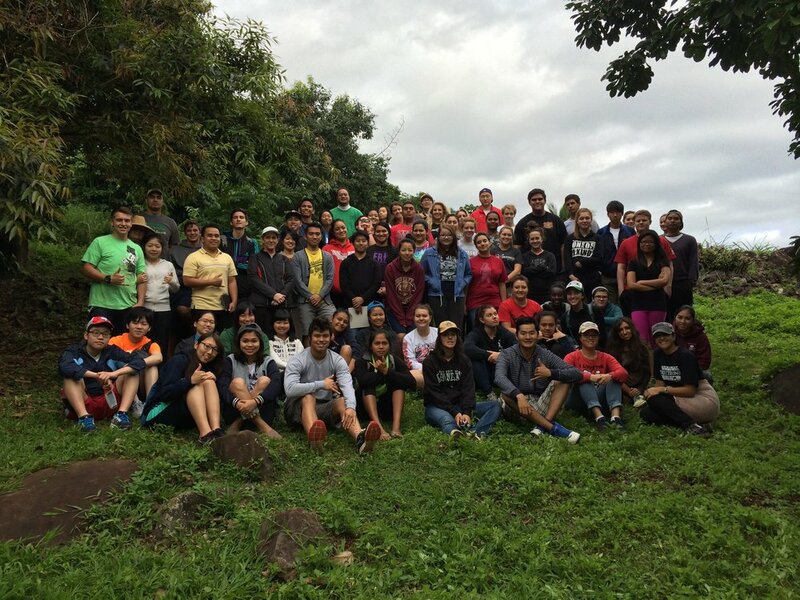 Photo: Students of BYUH at Maunawila Heiau, O‘ahu. Courtesy of Tina Aiu. Older PostEnjoy "Pau Hana" on the Land!